Join Meltdown and 101 WRIF for Bike Night at Stingers in Wixom. 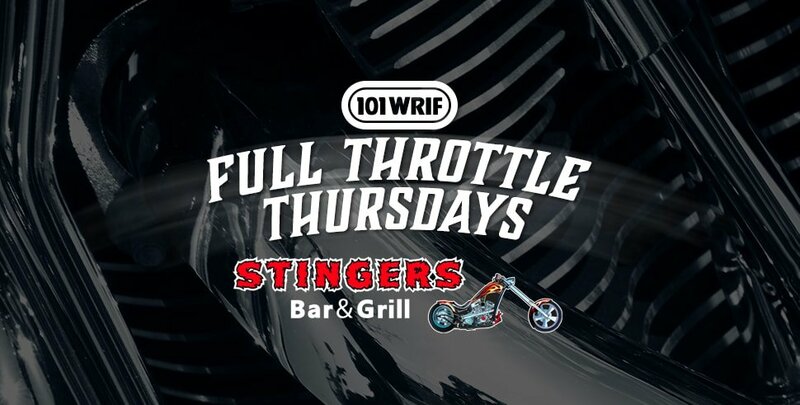 If you're looking to get out on two wheel or even if you don't have a bike be sure to join the Riff crew for a weekly meet up at Stingers with fellow bikers around the Detroit area. Enjoy music, great food, drinks, giveaways and more. You can also get your bike washed while you hang out with other bikers. So join us rain or shine each week throughout the summer for Bike Nights at Stingers in Wixom.